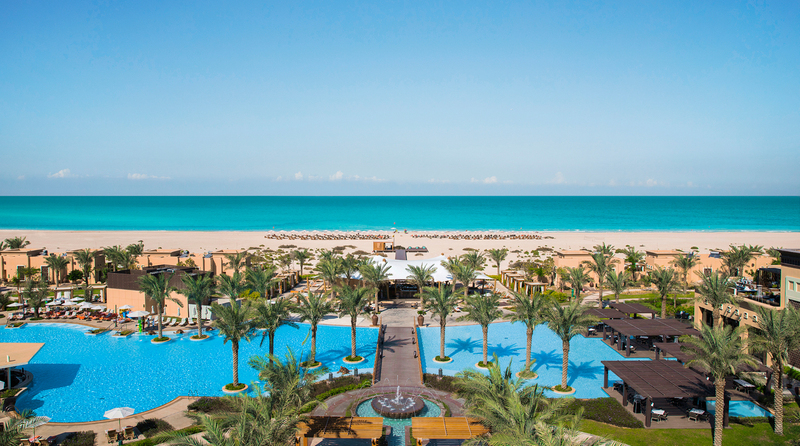 Saadiyat Rotana Resort & Villas is located on a spectacular 9 km stretch of pristine white beach on Saadiyat Island, surrounded by idyllic beaches, cultural and leisure experiences such as Louvre Abu Dhabi. The resort is a one-of-a-kind 5-star property with a regal presence, 20 minutes’ drive from Abu Dhabi International Airport. The property offers 327 luxurious rooms and suites and 13 beach villas, providing an array of exclusive amenities, entertainment and recreational activities. Guests will also be able to benefit from the resort's modern event facilities, 7 exciting dining venues, 24hr in-room dining, Bodylines Leisure & Fitness Club, Zen the spa at Rotana, Aladdin's Cave kids club, tennis courts, mini-golf and stunning pool and beach. Our beach villas offer bespoke luxury and exclusivity. Choose from spectacular one-bedroom villas, to spacious two-bedroom villas. All Villas have their own private plunge pools, giving way to their very own private oasis.